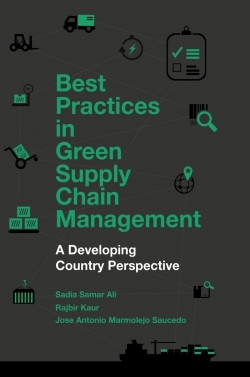 Integration has been a key theme across the general management, organizational behaviour, supply chain management, strategy, information systems and the environmental management literature for decades. Sustainability continues to be, at the “top of the agenda” in the C-suite. Despite this, specialists in academia and organizations lack the peripheral vision to understand the power of a more integrated approach that will empower functional groups to become best-in-class without forcing trade-offs that pull down other groups connected to overall operations. Integrated Management is the key driver of innovation and profitability in progressive companies. It reduces risks while pursuing new opportunities, and the checks and balances for prudent management are baked in the strategy for modern go-to-market synergy and growth. What can be done, then, by individuals, functions, organizations, value chains, and even whole cities to integrate and align sustainability? 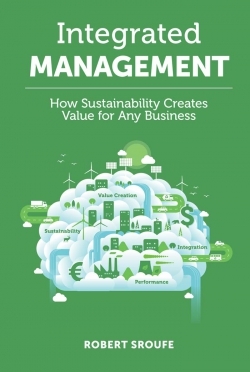 To answer this and other questions, the information in this book finds enterprises already on the path toward integrated management and strategic sustainable development. It considers the opportunity we have to enable an enterprise value proposition that includes environmental, social and governance (ESG) performance. Integrated management applies a proven strategic planning approach to uncover the tools and actions available for change management and performance measured with an Integrated Bottom Line (IBL). Using evidence based examples from best-in-practice enterprises, proven management tenets, models and tools alongside emerging technologies, we can develop integrated solutions aligned with the UN Sustainable Development Goals (SDGs). It’s easy to say sustainability is important, yet not so easy to understand how it is part of the decisions that are made every day and how it cuts across business functions, systems, and supply chains. 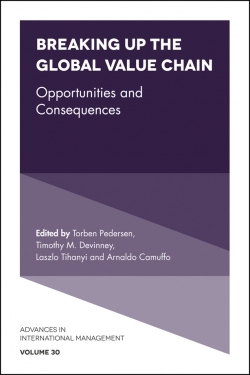 The information within this book, the application of systems thinking to complex problems, development of a vision and action plan, your own research, and action learning activities are all designed to accelerate management action, value creation, and the goal of a sustainable future. Chapter 12. The Future - What Could Be (Beyond Sustainability)? Robert Sroufe is the Murrin Chair of Global Competitiveness, and Professor of Sustainability & Supply Chain Management at Duquesne University’s Palumbo Donahue School of Business. He is involved in developing and delivering action learning pedagogy within the #1 ranked MBA Sustainable Business Practices program, producing future change agents. Winner of numerous teaching and research awards, he has published practitioner, environmental, and business journal articles and multiple books on sustainability topics. As a public speaker and consultant Dr. Sroufe utilizes integrated management practices to help decision makers solve problems, improve productivity, increase revenue and enhance competitiveness with a range of enterprises. He has been awarded the Academy of Management Organizations & Natural Environment (ONE) Division inaugural Teaching Award.